A lot of talk has emerged lately regarding coconut oil being beneficial in treating the signs and symptoms associated with Alzheimers Disease (AD). Coconut oil is obtained from the kernel of the coconut palm and has been shown to be extremely stable as well as having a long shelf life. Major exporters of coconut oil are the Philippine’s, Indonesia, Malaysia, Papa New Guinea and India. In Australia we are also lucky enough to easily purchase excellent quality coconut oil from the islands of the South Pacific as well as the Cook Islands. In fact to a Pacific Islander, coconut oil is believed to be a cure for all illnesses and the coconut palm is known as the ‘Tree of Life’. A huge percentage (92%) of coconut oil’s fat composition is saturated. When compared to other oils such as olive and soybean oil which only have about 15% or butter which has 63%, these figures are astounding. This large number of saturated chemical bonds explains why coconut oil is solid at room temperature and doesn’t spoil. Coconut oil is additionally unusual as it contains a high percentage of medium chain triglycerides (MCT’s) at 60% and 40% of long chain triglycerides (LCTs). We metabolise MCTs differently than LCT’s as they are transported directly from the intestines to the liver. This means that less MCTs are available to be circulated throughout the body and deposited in fat tissues. You may see on the shelves of supermarkets and health food stores two different kinds of coconut oil: hydrogenated and non-hydrogenated (virgin) coconut oil. What to buy? The process of hydrogenation creates synthetic trans-fats and should be avoided, especially if you wish to use coconut oil therapeutically. Coconut oil that has not undergone hydrogenation (or any processing that uses chemicals) is free of trans fats but still has saturated fats. These are the MCTs. The largest percentage of saturated fats in coconut oil (about 50%) is known as lauric acid which also help in increasing HDL cholesterol (the ‘good’ cholesterol). Much of the evidence of coconut oil and its use in AD centres around lauric acid. 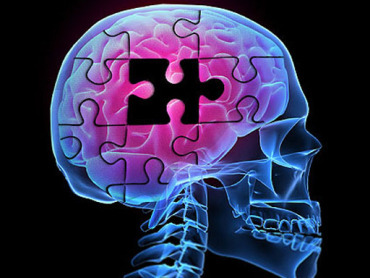 Dementia – including AD, describes a group of illnesses that cause a progressive decline in an individual’s functioning. Signs and symptoms usually present in varying degrees are a loss of memory, intellect, rationality, social skills and physical functioning. There are more than 332,000 Australians currently living with dementia. This number is expected to rise to 400,000 in less than 10 years. There is approximately 24,700 people in Australia with Younger Onset Dementia (a diagnosis of dementia under the age of 65, including individual’s as young as 30). Three in ten people over the age of 85 and close to 1 in 10 people aged over 65 have dementia. Dementia is the third leading caused of death in Australia – currently there is no cure. Alzheimers Disease – The Type 3 Diabetes? Some researchers are convinced that AD is actually type-3 diabetes. A lifetime of too many of the wrong carbohydrates in the diet has caused the brain cells to become insulin resistant so they no longer uptake the glucose that they need to function. It is known that our brain cells are unable to store energy so they need a continual supply; normally this in the form of glucose derived from the carbohydrates in our diet and is facilitated by the hormone insulin that allows the glucose to enter the brain cells. Eventually if energy starved, these brain cells will die leading in some cases to AD. The death of these brain cells can begin as much as a decade before any symptoms become apparent. It’s all about the ketones – but what are ketones? As we have seen, the damage caused to the brain by the AD disease process disrupts its ability to use the main energy source – glucose. If brain cells are unable to accept glucose they will eventually die. What if anything can be done? The brain cells may no longer be able to take up glucose but the brain is naturally able to get some of its energy from ketone bodies when glucose is less available. Ketone bodies are manufactured in the liver from the MCTs such as those found in especially high amounts in coconut oil. Ketones can than cross the blood brain barrier to provide instant energy to brain cells with no insulin spike. These ketones can also be used by other organ’s as a fuel source. The ketones provide a immediate source of energy and not as readily stored as fat like glucose. Ketones provide energy to cells without the need for insulin, the hormone needed to get glucose from the blood and into the cells. By having access to these ketone bodies instead of glucose as an energy source, the brain cells are able to stay alive and continue to function. Ketones therefore provide an alternative energy source for brain cells that have lost their ability to use glucose as a result of Alzheimers disease pathology. It is this current thinking – the high content of MCTs present in coconut oil being able to provide an alternate energy source for brain cells, that has led many health professionals to believe non – hydrogenated virgin coconut oil to be a potent nutritive in the support and treatment for those with AD in its varying stages. Promising results include halting and reversing many of AD symptoms leading to regaining memory and improved lucidity. While we wait for a rigorous, large scale research study to be done on coconut oil, lauric acid and AD, if you or a loved one is concerned about AD take 15-30g (1-2 tablespoons) of non- hydrogenated, virgin coconut oil a day. Start in smaller doses and gradually work your way up. Take it by the spoonful, add it to smoothies or even spread it on toast! Does Your Brain Have Diabetes? A New Take on Alzheimer’s Disease.